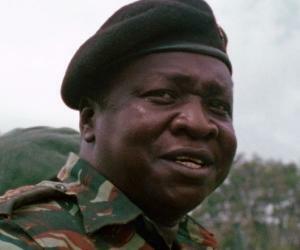 A Ugandan dictator, Idi Amin is remembered for his brutal regime and crime against humanity. 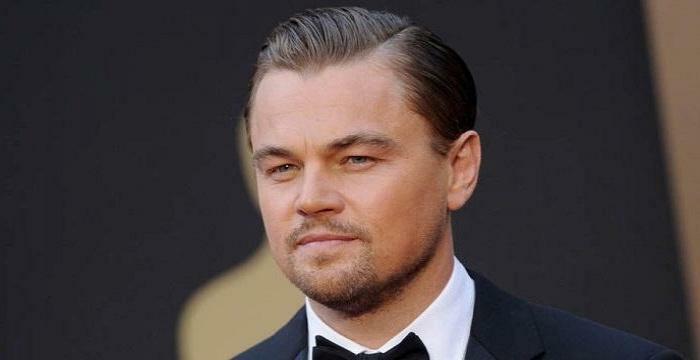 Check this biography to know in details about his life, childhood, profile and timeline. 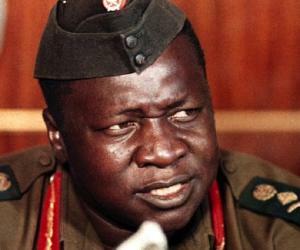 Idi Amin was the most controversial leader of Uganda. He served as the third President of the country from 1971 until 1979 and was widely regarded as the ‘Butcher of Uganda’ for his mass massacre of people. Before serving in the topmost position of the country, he had a modest beginning. Deserted by his father and raised by his mother, Amin dropped out of school at a very young age. In 1946, he joined the British colonial regiment and served in Somalia and Kenya. It was his sheer sense of determination, persistence and strength that helped him rise up the ranks to the post of the Afande or Warrant Officer, which was the highest rank for a Black African in the British army. 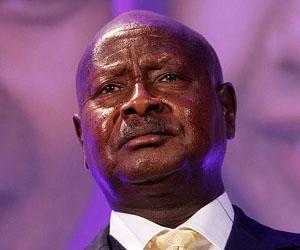 He became a Commander of the forces and in 1971 he seized power by deposing Milton Obote in a military coup. Amin’s term at the presidency was marked by a period of immense disruption and annihilation. He expelled Asians from the country which further deteriorated the already-declining economy. He was essentially the reason behind the 1972 Uganda genocide which resulted in the death of more than one lakh people. 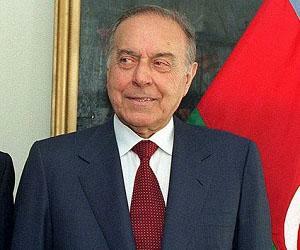 Corruption, nepotism, human right abuse and political repression were at peak during his rule. International relations also suffered as he sought to develop alliance with Libya, Soviet Union and East Germany. Interestingly, he never received Distinguished Service Order (DSO) or a Military Cross (MC) decoration. Furthermore, he forcefully attained for himself honorary doctorate of law from Makerere University and declared himself as ‘CBE’ or ‘Conqueror of the British Empire’. Nevertheless, he self-proclaimed his title as ‘His Excellency President for Life, Field Marshal Alhaji Dr. Idi Amin Dada, VC, DSO, MC, CBE’. Scroll further to know more about his life and profile. Though there is no accurate information as to when was Idi Amin born, it is speculated that he was born around 1925 either in Koboko or Kampala to Andreas Nyabire, an Islam convert and Assa Aatte, an herbalist and diviner. Abandoned by his father, his mother brought him up in the north-western part of Uganda. Academically, he attained his early education from an Islamic school in Bombo. However, he left the same when he was in fourth standard. He undertook various odd jobs to support his living, before being recruited as an assistant cook in the army in 1946 by a British colonial army officer. In 1947, he was transferred to Kenya where he rendered his service to the 21st KAR infantry battalion in Gilgil for two years. In 1949, along with the unit, he was deported to fight against the Somali rebels in Shifta War in North Kenya. In 1952, his brigade was deployed to deal with the Mau Mau rebels in Kenya. He was promoted to the post of the Corporal in the same year and to the Sergeant, the following year. In 1959, he was promoted to the rank of Afande (warrant officer), he highest rank that a Black African could hope to reach in the colonial British Army of that time. Upon returning to Uganda in 1961, he was promoted to the rank of Lieutenant, thus becoming the second ever Ugandan to become commissioned officer. In his new capacity, he was assigned the task of controlling the cattle rustling between Uganda's Karamojong and Kenya's Turkana nomads. The independence of Uganda from United Kingdom brought more good news for him as he was promoted as a Captain in 1962, eventually becoming a Major the following year. 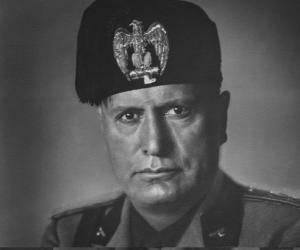 In 1964, he was appointed to the post of Deputy Commander of the Army. Meanwhile, he developed close relations with the then Uganda Prime Minister and President Milton Obote. Along with Obote, he smuggled gold, coffee and ivory from Zaire in exchange for arms and ammunitions to the rebel troops in Congo. In 1971, following conflict between Obote and himself, he carried out a military coup against Obote. He then took control of the reigns of the country and vouched to hold free and fair elections to resume democratic rule in the country when things normalized. He provided a state funeral to former king of Buganda and President, Sir Edward Mutesa and freed many political prisoners. He declared himself as the President of Uganda, Commander-in-Chief of the Armed Forces, Army Chief of Staff, and Chief of Air Staff. In his new role, he made several changes to the working of the government. He instituted an Advisory Defence Council which primarily composed of military officers. Furthermore, soldiers were appointed to top government posts and parastatal agencies. 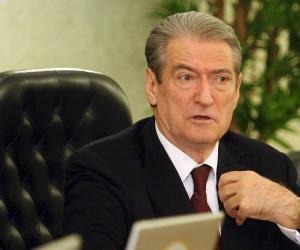 General Service Unit, an intelligence agency was replaced by State Research Bureau (SRB). Meanwhile, Obote who had taken refuge in Tanzania began to form an army of his own and was soon joined by 20,000 Ugandan refugees. 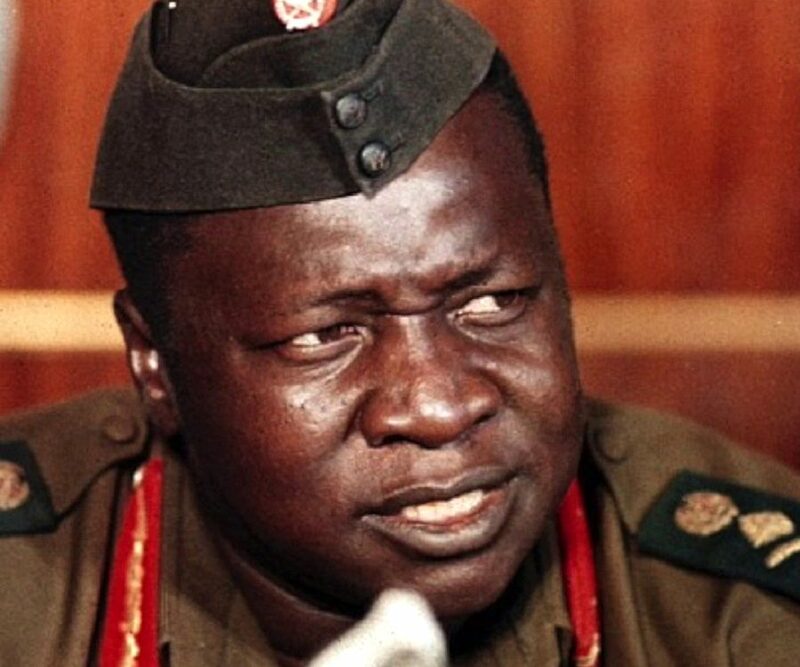 However, Amin on learning the same organized ‘killer squads’ who were ordered to hunt and murder Obote supporters. Year 1972 witnessed mass massacre as large number of people belonging to the Acholi and Lango ethnic groups were brutally exterminated in the Jinja and Mbarara Barracks. The death toll rose astronomically and included people from various walks of life including religious leaders, journalists, artists, senior bureaucrats, lawyers, students and intellectuals, criminal suspects, and foreign nationals. Same year, i.e. in 1972, he expelled about 80,000 Asians from the country. The businesses held by the Asians were forwarded to his supporters. Furthermore, he broke up diplomatic ties with United Kingdom and nationalized British owned businesses. His move to wage the ‘economic war’ proved to be futile, as it further deteriorated the already-declining economic condition of the country. Mismanagement and lack of knowledge and experience were the main reasons for the breakdown of the once-successful businesses. During his presidency, international relations with countries such as Israel, Kenya United States and United Kingdom soured, while he made great relations with Libya and the Soviet Union. Libya provided him with financial aid and Soviet Union became the largest arms supplier to Uganda. In 1976, under his administration, an Air France aircraft was hijacked and forced to land at the Entebbe Airport. Jewish and Israeli citizens were held as hostages. However, a rescue operation was soon launched by the Israeli government which resulted in the death of seven hijackers and 45 Ugandan soldiers. By 1978, his brutality and callousness led to a significant fall in the number of supporters. Moreover, the declining economic and infrastructure condition caused a withdrawal of support for his army. The revolt reached its peak when Bishop Luwum and ministers Oryema and Oboth Ofumbi were killed. His supporters fled to Tanzania. Furious at the action, he launched an invasion of Tanzanian territory, forcefully seizing control of the Kagera Region across the boundary. Following the attack by the Tanzania’s People Defence Force and aided by Ugandan exiles who had formed the Uganda National Liberation Army, the Ugandan army retreated. The Tanzanian forces eventually moved to gain control of Kampala, the capital city. Foreseeing the defeat, he fled to Libya on April 11, 1979. The following year, he moved to Saudi Arabia and remained there for the rest of his life. He attempted to return to Uganda in 1989 but was forced to continue to lead a life in exile by Zairian President Mobutu Sese Seko. He was a polygamist and reported to have married five times in his lifetime, including Malyamu Amin, Kay Amin, Nora Amin, Madina Amin and Sarah Amin. He divorced his first three wives and is speculated to have fathered 40 children. On July 19, 2003, he went into coma and was being treated by the King Faisal Specialist Hospital and Research Centre in Jeddah, Saudi Arabia. Less than a month later, on August 16, 2003 he died due to multiple organ failure. He was buried in the Ruwais Cemetery in Jeddah. Popularly referred to as the Butcher of Uganda, this powerful politician was a light heavyweight boxing champion and swimmer.